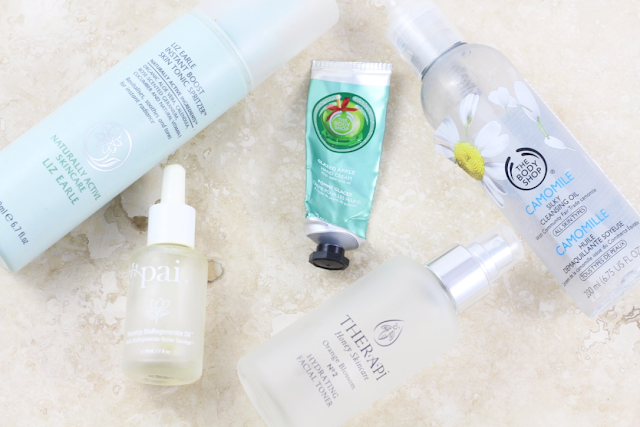 This month's empties has a distinct skincare theme; no makeup finished whatsoever! I have hit pan on a few powders recently but that's it... I clearly have too many variations of the same items!! I could probably do with a sort out as I'm sure there are a few dried out mascaras lurking in my makeup boxes somewhere. This was the first cleansing oil I ever used and it completely converted me. It didn't have as much love in its final days as it did initially due to other cleansers, but it's still a fabulous product. It fully delivers on the silky claims and removes all makeup quickly and efficiently. My only gripe is the low concentration of camomile in the oil. Full review here. Re-purchase? Possibly in the future. Liz Earle's toner was another one of those "first" products for me and is one I have re-purchased a few times since. I prefer the spritz version, which produces a very fine mist that can be used with or without makeup. I like that it contains a lot of naturally active ingredients to give the skin a really hydrating and revitalising boost. Full review here. If you're on the hunt for a toner for oily skin, this balancing one from Therapi is a brilliant option. The combination of ingredients, including ones that are astringent, balancing and hydrating, means it can really target different areas of the skin in different ways. Love the glass bottle too. I don't think I will ever be without a rosehip oil in my skincare routine and I love the one from Pai. It's meant to be most concentrated one around and also contains Omegas 3, 6, 7 and 9 and Trans-Retinoic Acid to boost the skin's natural healing process. I've found that over time this does really help to improve the appearance of red marks and scars. Full review here. This scent came out at Christmas but the lighter formula is more suited for summer, when hands don't necessarily need so much of an intense boost. I really hope The Body Shop bring this scent back because it's my favourite of all the limited edition Christmas ones so far! Re-purchase? I would if released again. What empties are in your bin this month? 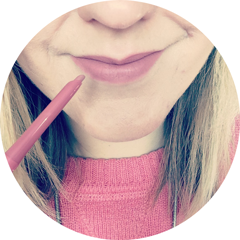 Are you a fan of any of the products I've used up? I love reading empties! I've been tempted to try the Body Shop Camomile Cleansing Oil for a while because I really like using the butter. After reading this, I think I'll have to give it a buy. Oh man, if the apple scent comes back this year - I'm stocking up! So many fab products you've used it girl! I am in love with my Pai Rosehip oil, the best I've ever tried, I will be forever re purchasing it! I love the Liz Earle skin tonic, it's a great toner! I really loved the glazed apple scent too! I really want to try the rosehip oil by Pai! I've heard a lot about the brand! I love the TBS camomile oil :) I haven't used it in ages :O I agree with you re: the low amount of camomile in it, it's cheeky how they can market it like they do.